Keep Riverside Clean And Beautiful! You are here: Home / Uncategorized / Keep Riverside Clean And Beautiful! While you are driving throughout the City of Riverside you will probably see the Adopt-A-Street signs located in over 100 different various streets. Keep Riverside Clean and Beautiful is a community program sponsored by the City of Riverside and the Greater Riverside Chambers of Commerce. It was started in 1992 to provide hands-on stewardship with litter prevention, graffiti eradication and tree planting projects year round. Local businesses and organizations can get involved with Adopt-A-Street by either sponsoring a street with an annual donation, or volunteering to clean up a street six times a year. Stronghold Engineering is proud to be an Adopt-A-Street sponsor for the 2nd year and continues to support the City of Riverside in the effort to keep the city clean and beautiful. 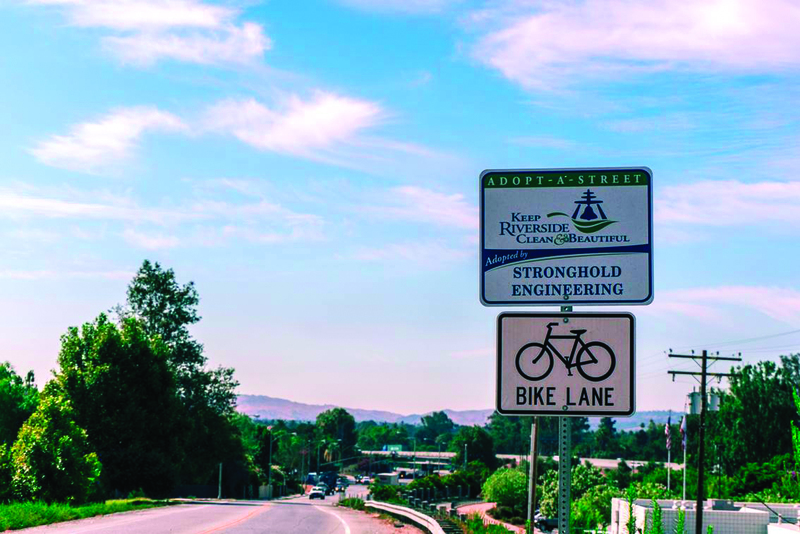 You can find the Stronghold Engineering Adopt-A-Street sign located on Market St. between the 60 freeway and the Santa Ana River in Riverside.